I don’t have much to say today, except that I love you guys, and I feel so thankful that a lot of JuicyBomb readers are supportive and nice. Even when you guys disagree with me, I appreciate that you take the time to leave a response and share your thoughts with me. I also enjoy your critique of my blogging, and I will try to include more unknown brands! I’ve been dying to blog this Silk Tucked Dress from Mon Tissu for weeks now, but haven’t been able to put together the right “look” until today. I dug out my pair of K.I.A shoes from LeLutka, and wore the new Return hairstyle from Elikatira. 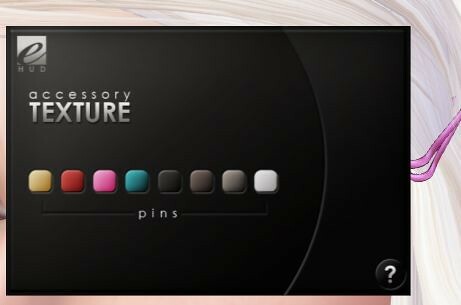 This hair includes a HUD to change the pins several different colors. Sweet! 🙂 Keep it up, you know how to do it best. Hugs! Thank you for this post, Gogo! Love the pictures and of course outfit. Thank you also for giving that helpful hint for the hair. I had the same issue with my sister having the HUD in her inventory while I did not. Is a HUD really needed for a couple of colour swatches? Some mesh hairstyles are hard to ‘grab’ to edit or they’re no mod altogether. But don’t the old school pop-up dialogue with written colour names work with mesh like they used to do for older styles? I’m just not seeing the positive effect of a HUD if there’s trouble to find it, it is no copy for some reason and, well, it doesn’t really do anything fancy. There’s no trouble finding the HUD, just open the package. Also, I’m no scripting expert but I think using a HUD (that you can detach when you’re done) helps cut down on the scripts? Haha and I was wondering why I couldn’t change the colour of the hairpins… thankfully I always keep the original box, so I was able to get out the hud! Thank you!